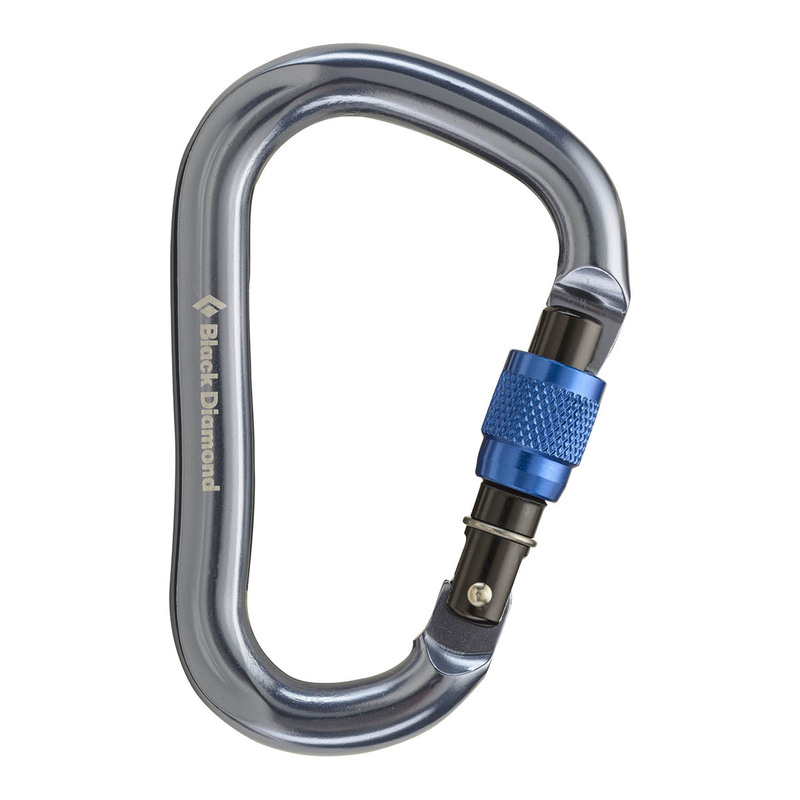 The Black Diamond RockLock Screwgate Carabiner is their largest locking ‘biner, which makes it great for belaying and rappelling, as well as for making anchors. The Black Diamond RockLock Screwgate Carabiner is also Munter-Hitch-compatible, and can be operated with one hand and features a super-safe keylock nose and screwgate locking system. Other useful details include a square hinge end to securely hold a belay and a slightly curved spine to offer maximum gate opening space. I am satisfied with this carabiner. Like all the black diamond products it makes you feel safer. It's also elegant. And the screw gate works great. Works well. No ekstra. does what its supposed to do. Normal wear and tear. This biner is nice and big, has lots of room, and looks great for building anchors.